A new year and a new you? Or a new year and an improved you? Either way this recipe is easy, delicious and healthy – a true Lean Luxury go to. I like to call them I’ll be with you in the squeezing of a grilled lemon. 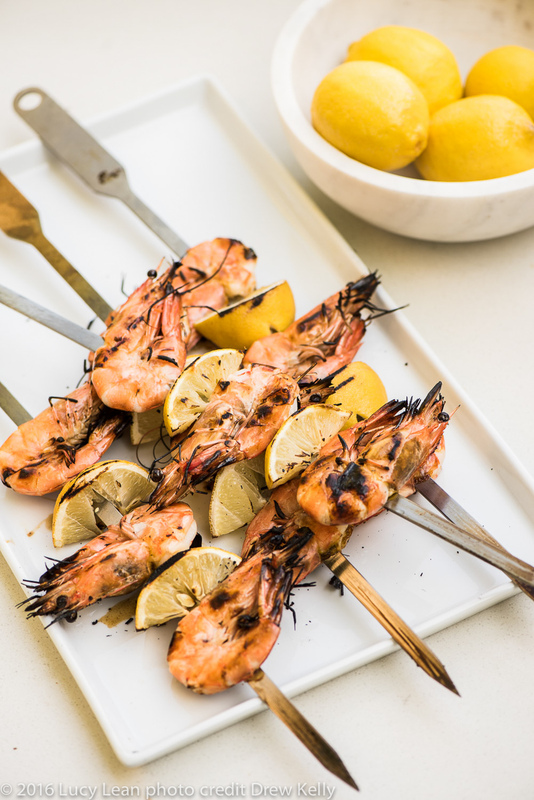 Because you grill the lemons on the skewers with the shrimp everything gets a delicious warm smoky flavor. 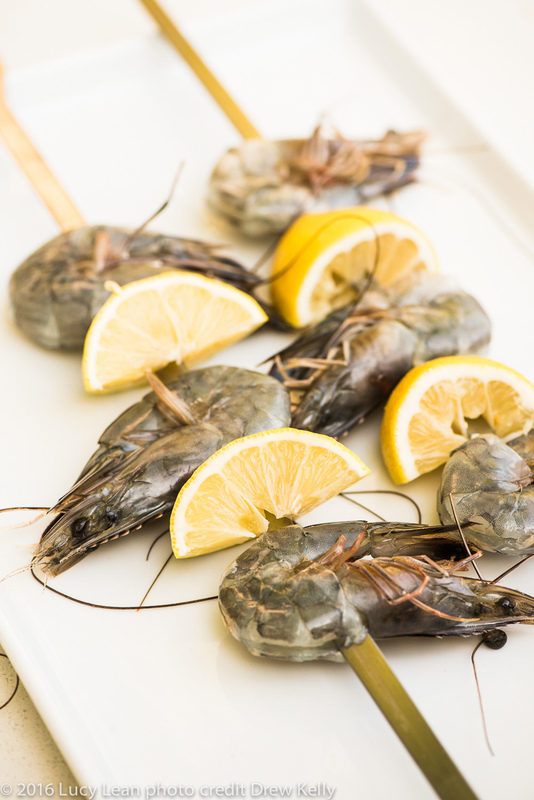 Buy shrimp from a good fishmonger – I like McCalls on Hillhurst. If you aren’t lucky enough to pick lemons off a tree then buy organic ones. Devein the shrimp by running a sharp knife along spine and then pulling out the yucky grey vein. In a shallow bowl marinate the shrimp in a mixture of marin and a little rice vinegar. Fire up the grill and get it nice and hot. On a skewer alternate shrimp and lemon wedges. 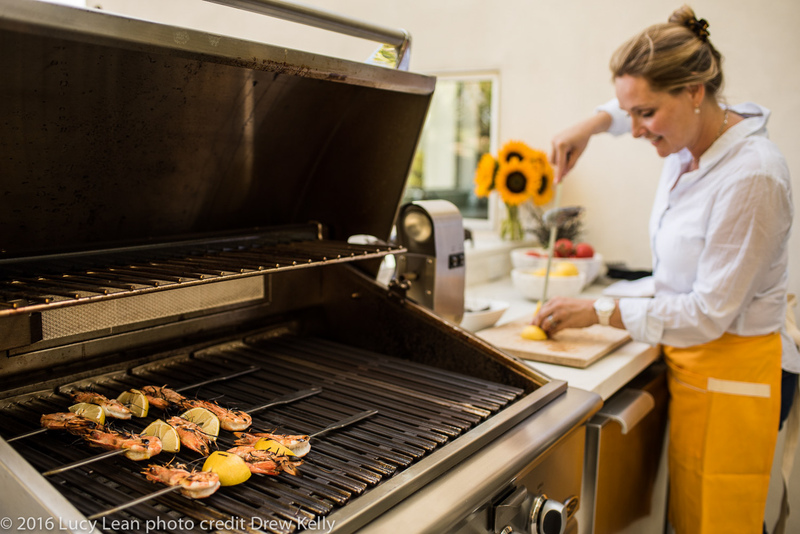 Turn the heat down to medium and place the skewers on for a couple of minutes until the shrimp turns pink and turn and grill the other side. 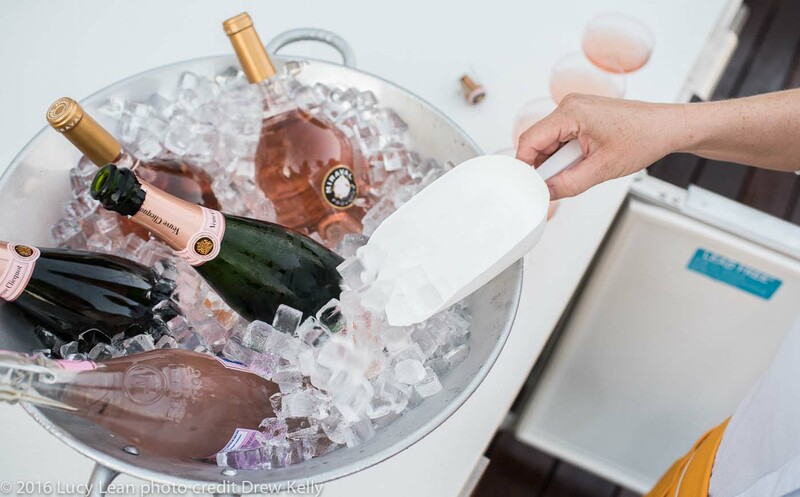 Then here’s the best part – invite friends over to enjoy around the fire pit – with a glass of rosé, pink lemonade or my fav pink bubbles – kept cold in ice from the new DCS ice maker contained in a beautiful silver ice tub from Vintageweave. 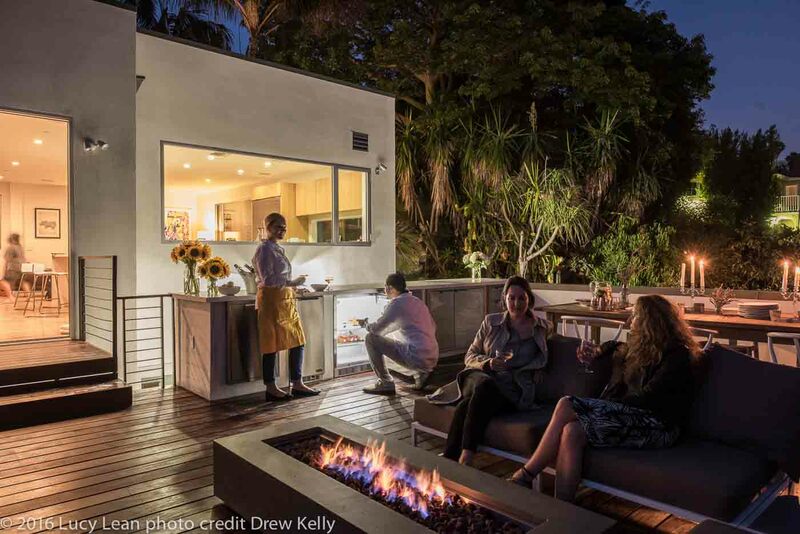 Rosé Corner happens all over the world but for now we have christened the new outdoor entertaining space of our new deck – cheers and happy new year and happy new you!